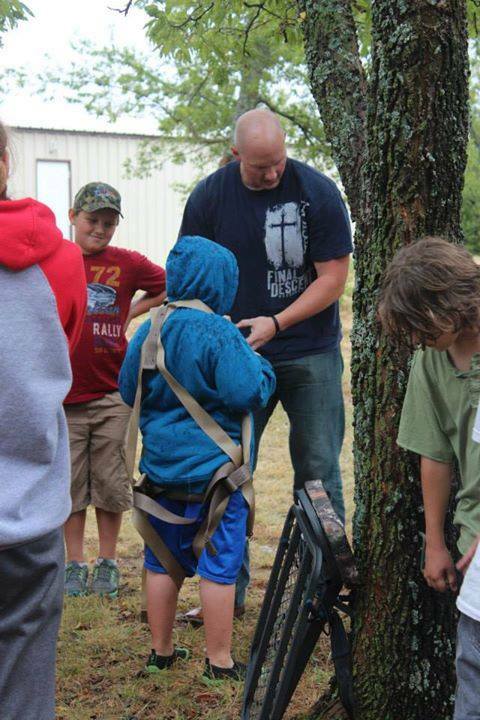 One of our favorite parts of our ministry is our annual Outdoor Kids Camp. The camp ranges for boys and girls from 7-18. The camps are a day camp beginning at 9am and ending at 6pm. The desire to do this was brought on by the loss of Brad;s father at a young age. Brad had men step up and teaching him to hunt, fish, shoot a gun, etc. So many kids don't have the same opportunity. The camps allow students to come and learn the basic skills of shooting shotguns, bows, rifles, proper gun cleaning and maintenance, tree stand safety, calling tips, animal anatomy, and so much more! For more information about when our next outdoor kids camp will be send us an email! All kids camps are held in Oklahoma.